Hi guys, as most of you may know Zendaya was in Paris, France this week. She was there to launch her collection “Zendaya X Tommy” with Designer Tommy Hilfiger! Make sure to check out all the latest images over in the gallery by clicking on the thumbnails below! As always Daya’s fashion will blow your mind! Zendaya X Tommy Hilfiger Collaboration! Hi guys, i have added some great new photos of Zendaya with her Tommy Hilfiger Collaboration! Make sure to check them out over in the gallery! Let’s hope that there will be more images! Zendaya is in talks to join Legendary’s “Dune” reboot. She would join a cast that includes Timothee Chalamet, Oscar Isaac, Rebecca Ferguson, Stellan Skarsgard, and Charlotte Rampling. Zendaya would play the love interest of Chalamet’s character. Isaac is in talks to play Chalamet’s father. “Arrival” and “Blade Runner 2049” filmmaker Denis Villeneuve is directing and co-writing the script with Eric Roth and Jon Spaihts. Legendary closed a deal with the Frank Herbert estate in 2016 for his famous novel, granting the studio rights to both film and TV properties. The project will be produced by Villeneuve, Mary Parent, and Cale Boyter, with Brian Herbert, Byron Merritt, Thomas Tull, and Kim Herbert serving as executive producers. Kevin J. Anderson will serve as a creative consultant. Set in the distant future, “Dune” follows Paul Atreides, whose family assumes control of the desert planet Arrakis. As the only producer of a highly valuable resource, jurisdiction over Arrakis is contested among competing noble families. After Paul and his family are betrayed, the story explores themes of politics, religion, and man’s relationship with nature, as Paul leads a rebellion to restore his family’s reign. The rising star has a busy 2019 ahead of her both on the film and TV sides, starting with the HBO series “Euphoria,” which premieres sometime this year. This summer, she returns to reprise her role as Mary Jane in “Spider-Man: Far From Home.” She is repped by CAA and Monster Talent Management. 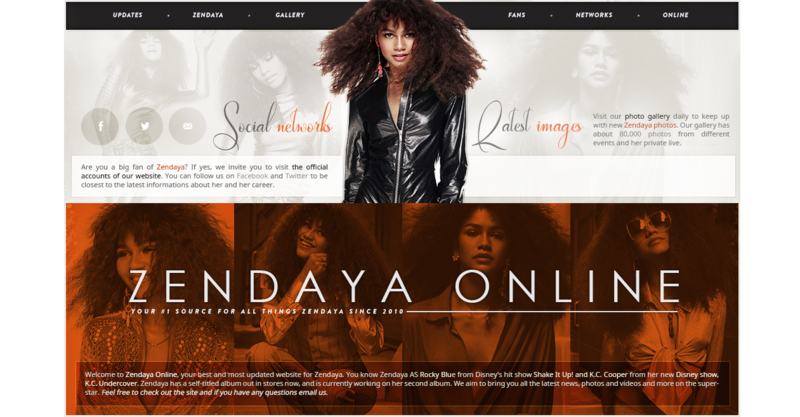 Hi guys, so if you follow the sit on twitter (@ZendayaOnline) you will know that i have been updating alot internally throughout the site. We had brand new make-overs on the Main site, Gallery, Icon archive, and there is still more coming! As of now here is everything that has been updated thus far: (main site, gallery, icon archive, filmography, site (past layouts) networks. I still have to update the lyrics archive, which i might change it to just a music video archive instead. Also i am working on spider-man: far from home trailer captures so those will be up soon! For now all that the gallery got updated with is the new Spider-Man: Far From Home poster, and a couple Movie Stills! So make sure to check them out by clicking on the thumbnails below! Spider-Man: Far From Home Trailer! It’s here guys! 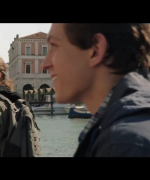 The first look at Spider-Man: Far From Home! Make sure to check out the trailer below. Mark your calendars as it will be released on July 5th, 2019! Hi guys, sorry for being absent the last two months, but it was the holidays and my family and I went on vacation out of the country. Anywho we are back, the site is going to be undergoing alot of updates, new features, updating on old features and new themes etc. so as we go into the new year you will see all of the new changes and features. Also with 2019 here, it is going to be a big great year for Zendaya, she spent much of 2018 filming all her new upcoming projects, which include Spider-man, Euphoria and she’s still continuing to film other projects set for a later release date maybe not in 2019 but hopefully 2020! Candids – Filming Spider-Man: Far From Home! Hi guys, i have uploaded the recent candid images of Zendaya out in Italy filming Spider-Man: Far From Home with co-star Tom Holland. Make sure to click on the thumbnails below to check out all the latest additions! Last night Zendaya was spotted attuned the premiere to her new movie “Smallfoot” which will officially be in theaters this upcoming Friday. Hey guys! I uploaded magazine scans from Zendaya’s September 2018 Marie Claire issue as well as Girlfriend Austrlia’s October 2018 issue. Check them out below.